new employment laws 2016 Archives | Employee Rights Law Firm Serving the needs of California’s employees from Santa Barbara to San Diego. All of the new laws were effective on Jan. 1, 2016, unless otherwise noted. Governor Brown has referred to this new law as “the strongest equal pay law in the nation,” and we think he’s right on the money. Amending California’s existing equal pay law, the new Fair Pay Act lowers the burden of proof for plaintiffs claiming gender-discriminatory pay practices, by prohibiting an employer from paying lower wage rates for “substantially similar” work, rather than “equal” work as used in existing law. The Fair Pay Act also increases the burden of proof for employers in defending such claims, requiring employers to directly demonstrate that a wage differential is based on a bona fide factor other than the employee’s gender. Notably, the new law provides broader coverage than its federal counterpart, the Equal Pay Act (29 USC § 206(d)). Unlike the Equal Pay Act, California’s Fair Pay Act even provides employees an ability to challenge their pay based on wages paid to employees at other work locations of the same employer. Amendments to the Private Attorneys General Act of 2004 (PAGA), which are effective immediately, provide some welcome relief to employers relating to claims under Labor Code § 2699. Based on the amendment, employers now have a limited right to cure a violation of failing to provide its employees with a wage statement containing the inclusive dates of the pay period and the name and address of the legal entity that is the employer. In SB 588, the California legislature authorized the Labor Commissioner to file a lien on real estate, or a levy on an employer’s property, or impose a stop order on an employer’s business to assist an employee in collecting unpaid wages where there is a judgment against the employer. Additionally, employers, or individuals acting on behalf of employers, who violate any provision regulating minimum wages or hours and days of work in any order of the Industrial Welfare Commission, or who violate other related provisions of law, may be held liable as the employer for such violation. A bond of up to $150,000 may be required of an employer who does not promptly pay a judgment for unpaid wages. In AB 970, the California legislature authorized the Labor Commissioner to issue citations to enforce local minimum wage and overtime laws. In an effort to negate the California Court of Appeal opinion in Gerard v. Orange Coast Memorial Medical Center, 234 Cal. App. 4th 285 (2015), the California legislature enacted SB 327, making meal period waivers for health care employees valid and enforceable (reaffirming the validity of Section 11(D) of Industrial Welfare Commission Wage Orders 4-2001 and 5-2001). The California legislature clarified the statutory requirements for piece-rate compensation and provided an affirmative defense and safe harbor for employers who, by Dec. 15, 2016, fully compensate their specified employees for all under-compensated or uncompensated rest periods, recovery periods, or unproductive time between July 1, 2012 and Dec. 31, 2015. This is meaningful when employers offer more generous sick leave (or PTO) than the sick leave law requires. Now, employees can use up to one-half a year’s sick leave/PTO accrual for, basically, the same purposes as the sick leave law with the same protections against negative repercussions as the sick leave law creates. ◾ An employee must work for the same employer for 30 or more days within a year of the commencement of employment to be eligible to use PSL. ◾ Allow for alternative accrual methods for all leave banks. ◾ “Grandfather” in leave banks existing as of Jan. 1, 2015. ◾ Allow employers with unlimited or undefined leave banks to indicate “unlimited” on the employee’s itemized wage statement. ◾ Allow employers to calculate the rate of pay for employees using any of three methods. ◾ Make other clarifications and exclusions from the PSL law, and delay its effective date for some employers. The school-related leave law is expanded to broaden the reasons employees may take job-protected leave from work without the fear of reprisal by allowing workers to take time off work to: (1) find, enroll, or re-enroll children in a school or with a licensed child care provider, and (2) to address a child care provider or school emergency. Certain large grocery store establishments now have obligations to retain certain grocery store workers for a limited period of time following the sale of the grocery store to another entity. New California laws extend employee protection in both the retaliation and discrimination context. California law protects employees from retaliation and discrimination based on the employee having engaged in protected conduct. 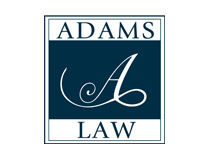 AB 1509 amends Labor Code section 98.6, 1102.5, 2810.3, and 6310, and extends that protection with regard to retaliation by extending it to a family member of a person who engaged in, or was perceived to engage in, the protected conduct. The bill also gives an exemption to household goods carriers from the client, employer and labor contractor liability provisions in this law. Meanwhile, AB 987 extends retaliation and discrimination protections under the Fair Employment and Housing Act (FEHA) to include employees requesting accommodation based on disability or religious beliefs, regardless of whether the request was ultimately granted. The purpose of the law is to clarify part of the holding in the published decision Rope v. Auto-Clor Sys. Of Washington, Inc., 220 Cal. App. 4th 635 (2013). New laws also expanded the definition of “public works” in the prevailing wage context. AB 219 expanded the “public works” definition to include hauling and delivery of ready-mixed concrete. The law also provides that the entity engaged in the hauling and delivery of ready-mixed concrete is considered a subcontractor for the purpose of Labor Code section 1720.9. The law goes into effect on July 1, 2016. AB 852 expanded the “public works” definition to include work (i.e. construction, alteration, demolition, installation, or repair work) done under a private contract on a most general acute care hospitals under certain conditions. The law contains a limited exception for rural general acute care hospitals, where the project is funded at least in part with proceeds of conduit revenue bonds issued by a public agency. SB 350 expanded the “public works” definition to include work (i.e. construction, alteration, demolition, installation, or repair work) on projects involving California’s electric transmission system pursuant to the Clean Energy and Pollution Reduction Act of 2015. Such projects will now be subject to the prevailing wage laws. AB 327 extended to Jan. 1, 2024 the sunset date for the statutory exemption of paying volunteers a prevailing wage on public works projects.